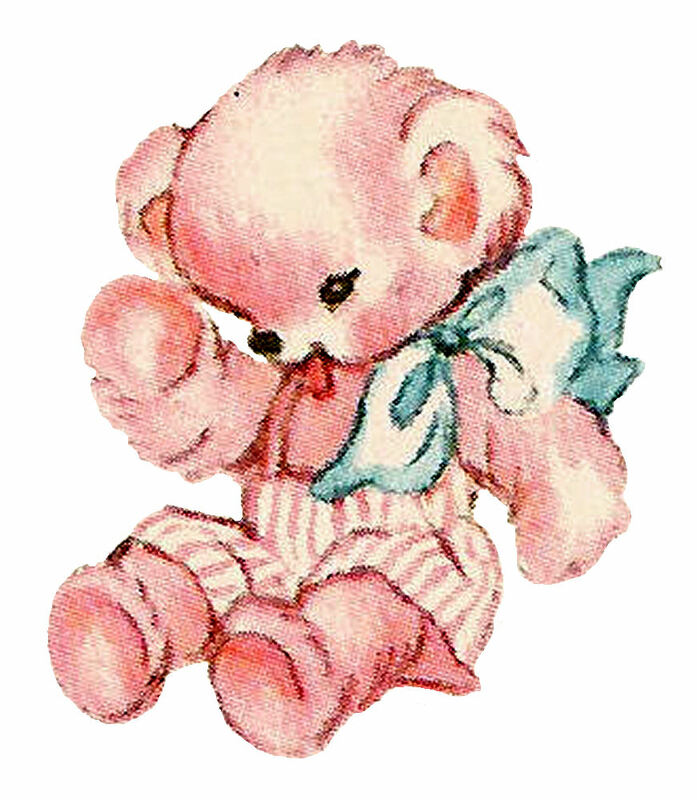 This is an absolutely adorable digital teddy bear image that I created from a 1913 illustration in a keepsake baby book. I love the deep pink of the illustration in contrast with the big, blue bow. And, the teddy bear's outfit of striped overalls is so cute! This digital toy clip art is perfect for any baby project you have in mind. 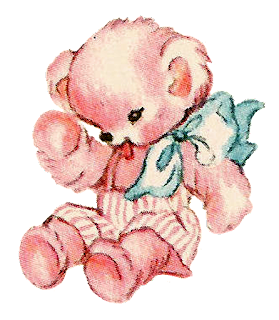 Whether you project is for a girl or boy, it's perfect since both pink and blue are in the teddy bear image. I hope you enjoy this wonderful stock toy image in your projects!